Solar eruption taken on 4/18/17 by GOES-16's SUVI instrument. 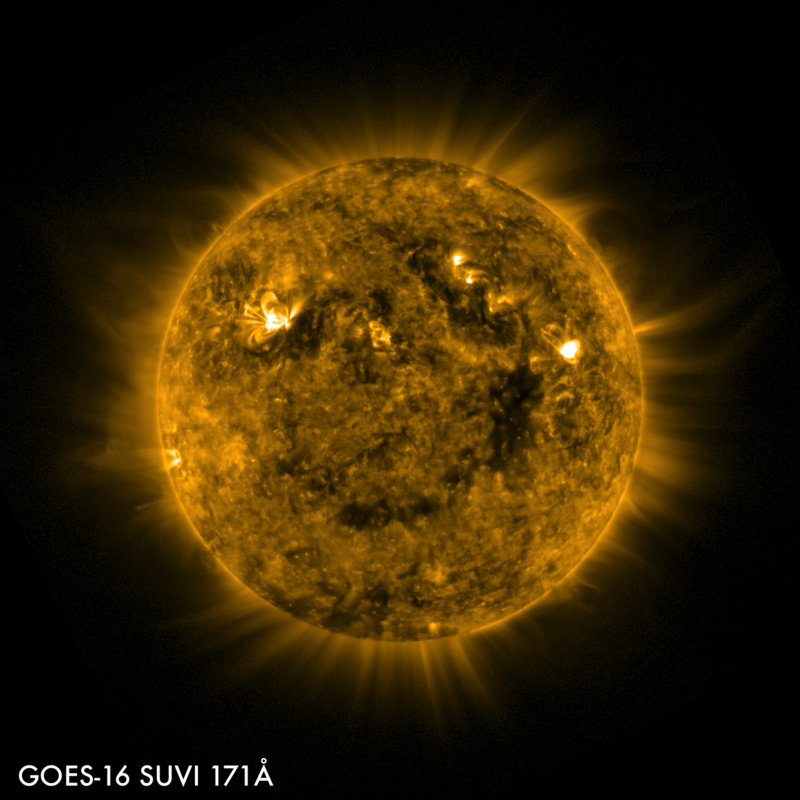 On, March 27, 2017, the Solar Ultraviolet Imager (SUVI) on board GOES-16 captured images of a very large coronal hole, wrapping most of the way around the sun! These following six images of the sun were captured at the same time on January 29, 2017 by the six different channels on the SUVI instrument on board GOES-16. The six wavelength channels observe the range of solar phenomena important for space weather forecasting.